Happening Now: Ica Peru 2019 (April 5 – 13 2019) Facial Plastics / Cleft Lip and Palate team | Healing The Children Northeast, Inc.
Dr. Evan Ransom and Dr. Joe Rousso leading the team to Ica Peru for the 5th time. Meet Gael. 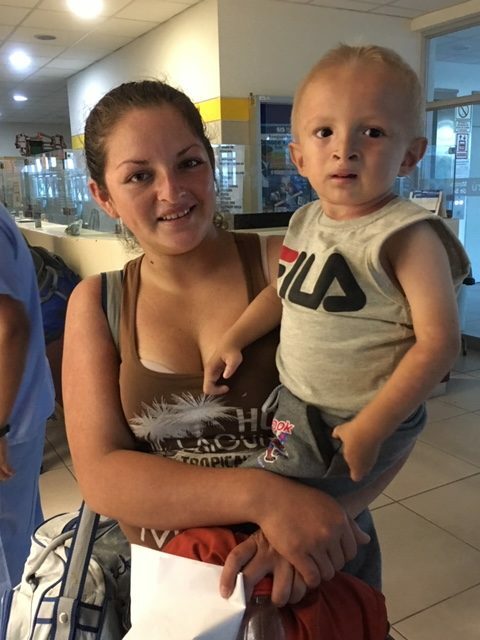 Gael is a two year old boy who was operated on by our HTCNE team last year. He is a repeat visitor/patient (before and after photo). His family lives in a very remote Amazon village. The Peruvian Airforce transported Gael and his mother, along with many families from this area to Ica to be seen by our team. The families will stay in Ica until Saturday when the Peruvian Airforce will fly them back to their region. We are hoping to get a glimpse of their village with the help of our photographers on this journey. This week’s photo shows fear and tense moments before surgery. 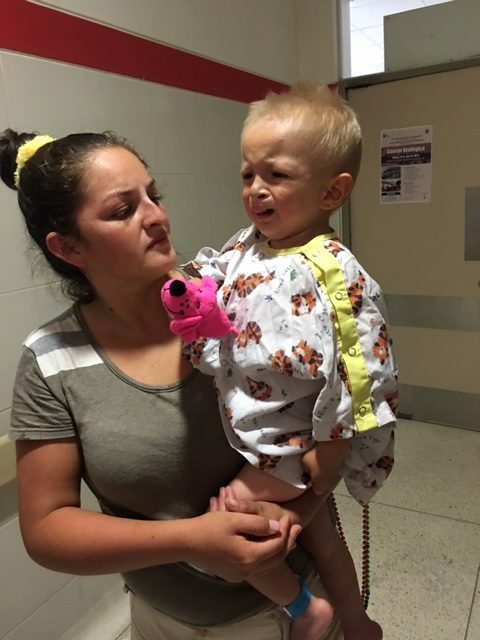 After surgery he looks relieved and happy – kissed by his mom.